Shark Defenders: Introducing Pierre le Porbeagle! 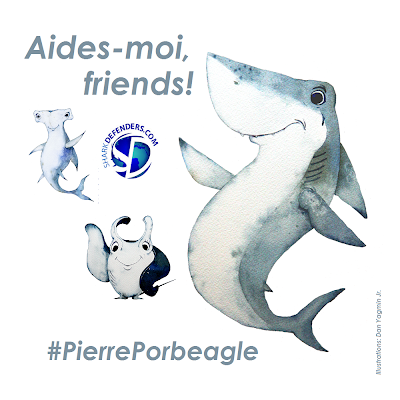 Shark Stanley and Manta Reina have another new friend join their campaign, Pierre le Porbeagle! He’s left his chilly home waters to travel the seas with them to help gather supporters for shark and manta ray protection at the Convention on International Trade in Endangered Species (CITES) this March. If you would like to help Pierre with this mission, you can print this picture of him, cut it out, and take a photo with him anywhere you wish. Shark Defenders is compiling the photos from around the world to share on our blog and web pages, and sending them to governments voting at CITES. Believe it or not, I’m warm-blooded! This means that I’m fast and energetic because my body temperature is higher than the surrounding water. I can stay this warm because of a specialized system of blood vessels that store the heat my muscles make. I’m a very tenacious hunter and a great diver. My warm body helps me stay in deep, cold water longer. I’ve been found as far down as 1300m! The spots on my nose aren’t freckles, they’re actually specialized sensory organs called Ampullae of Lorenzini (weird name, I know!) They’re little pits that help me detect even the tiniest movements in the water. I prefer temperate waters and live on the east coast of Canada, usually hanging out on the outer continental shelves and banks where I can find plenty of fish and squid. My friends and family live throughout the North Atlantic and I also have cousins in the Southern Hemisphere, though I’ve never met them because our populations don’t really mix. Sometimes, I feel like taking long-distance swims. These are usually for seasonal migrations when I move between shallow and deep waters. I usually spend the summer off of Newfoundland and then migrate south. In fact, I was born over 2000km away in the Sargasso Sea where my mom goes to have her new pups. We’re one of the only fish species known to be playful! Humans have sometimes seen me rolling around in kelp fronds and wrapping myself up. We also sometimes chase each other when we hang out in groups and I’ve been known to play with anything I see floating in the water! I’m terrified of fishing boats. My species has been very depleted by overfishing: we porbeagles are valued for our large fins as well as our meat. For example, stocks collapsed in the 1950s and 60s in both the eastern and western North Atlantic and took decades to recover…and now we’ve virtually disappeared from the Mediterranean Sea. The IUCN Red List classifies us as vulnerable globally and critically endangered in parts of our range. We play key roles in our marine ecosystems, but now, as our numbers drop, in certain populations we can no longer do that. Like many other sharks, we mature slowly and have few young, making us very vulnerable to overfishing and slow to recover. Even though the North East Atlantic Fisheries Commission (NEAFC) has prohibited targeting and keeping us, in the Southern Atlantic and on the high seas, there are no conservation or management measures in place to protect us. This means there is a HUGE gap in our protection and there is excellent science out there that has shown our populations have not recovered, and are in worse shape than a few years ago. A lot of humans are standing up for us though: late last year we were put on CITES Appendix III, which brings some helpful protection. For example, the 22 EU member states that export us need to have a special permit and every other CITES country that exports us needs to prove we didn’t come from the EU. In 2010, a proposal to protect Porbeagle sharks on Appendix II at CITES was only missed by a few votes! However, 2013 is our year to get this vital protection. 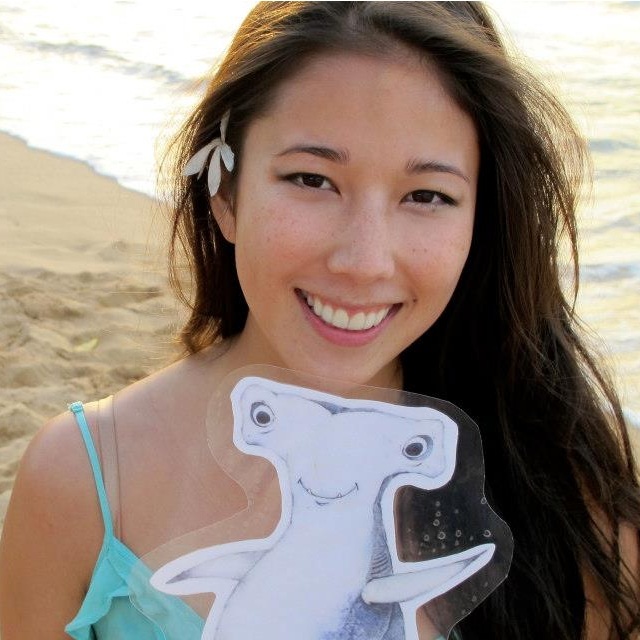 That’s why I’ve joined Shark Stanley and Manta Reina to tell the world how important it is to join our cause!